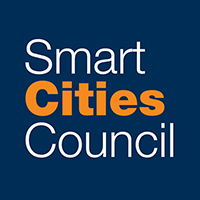 Smart Cities Council Global Managing Editor Kevin Ebi explains how West Sacramento, Calif., recently used a Smart Cities Council Readiness Workshop to find opportunities for improving mobility, public safety, the built environment and communications through a more holistic, systematic approach. Kevin Ebi, Global Managing Editor of the Smart Cities Council, explains how Newport News, Va., plans to use solving traffic issues as a springboard into becoming a smarter city. Smart Cities Council Readiness Editor Doug Peeples explains how to best implement smart street lighting projects. Smart Cities Council Global Managing Editor Kevin Ebi explains lessons that can be learned from people’s use of Uber and Lyft, and strategies that cities can use to fill ride-sharing users’ needs through transit. Smart Cities Council Global Managing Editor Kevin Ebi explains the importance of engaging Generation Z through their smartphones. 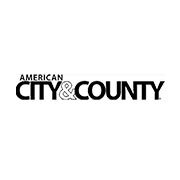 Smart Cities Council Readiness Editor Doug Peeples discusses San Diego’s upcoming trial for autonomous vehicles and connected cars. Smart Cities Council Managing Editor Kevin Ebi explains how Philadelphia’s SmartCityPHL initiative is trying to close the city’s inequity gap. Kevin Ebi, managing editor of the Smart Cities Council, explains how Indianapolis plans to achieve carbon neutrality by 2050.